I spend 40 hours a week working in my cubicle. I would much rather spend those forty hours in a place that's pretty and inspires creativity. 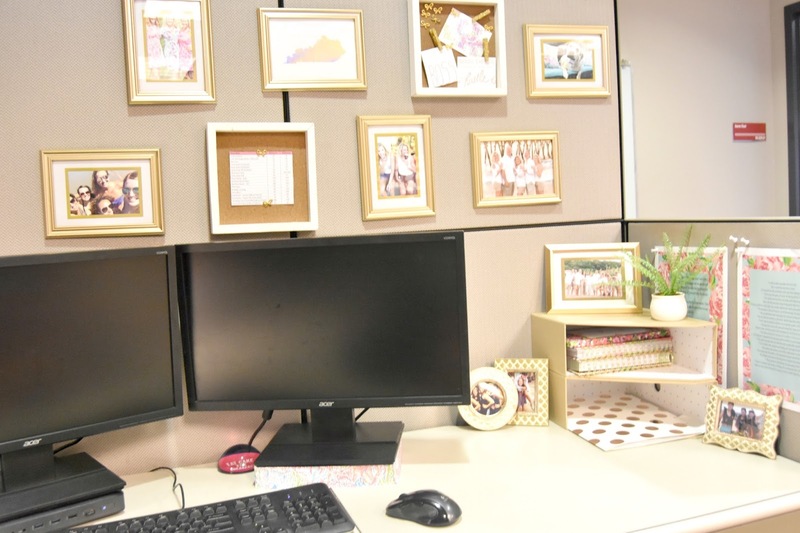 My cubicle before was boring and messy. Full of lots of grey and lots of random papers/info tacked to the walls. 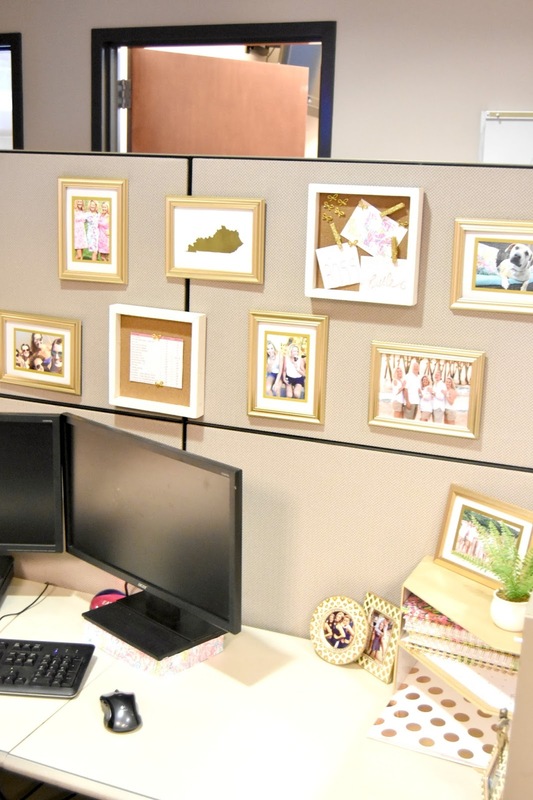 When I first started working in a cube, I made a mediocre attempt to decorate with pictures hung via string & paper clips and cute office supplies I accumulated along the way. Finally, I couldn't stand looking at my cube any longer. See, I told you - hot mess. I was planning to hang these frames with 3M Command Strips, but those are so expensive. So instead I created a DIY "cubicle nail" (I should trademark this) with a paper clip. You basically unfold a paper clip and form it into a picture hanger (curved up at the end) & then stick it in the fabric wall and hang your picture. 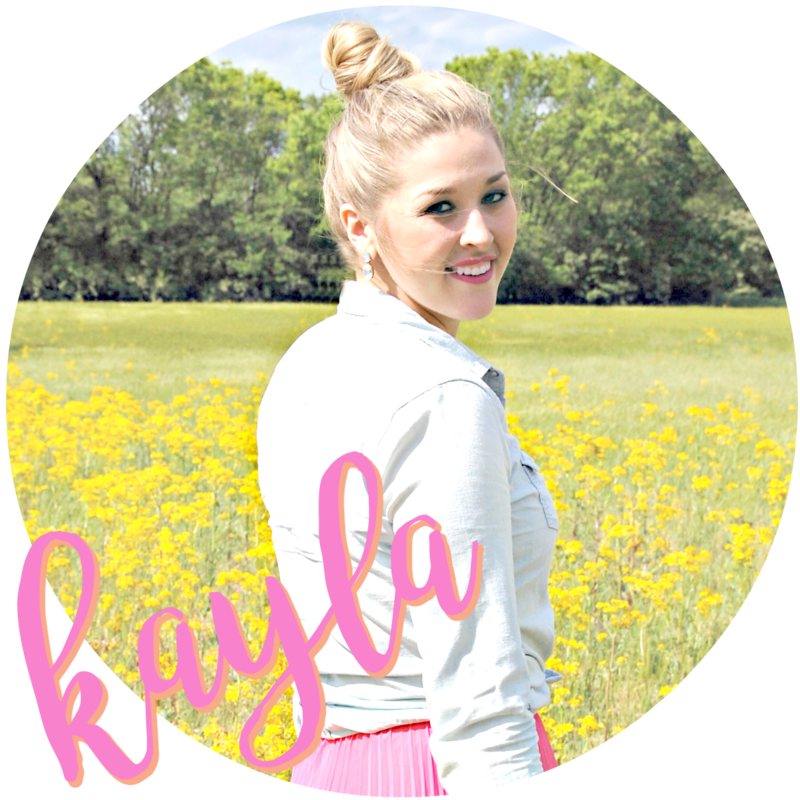 Easy peasy & cheap! The white framed cork boards were found in the dollar section at the front of Target for $3 each. 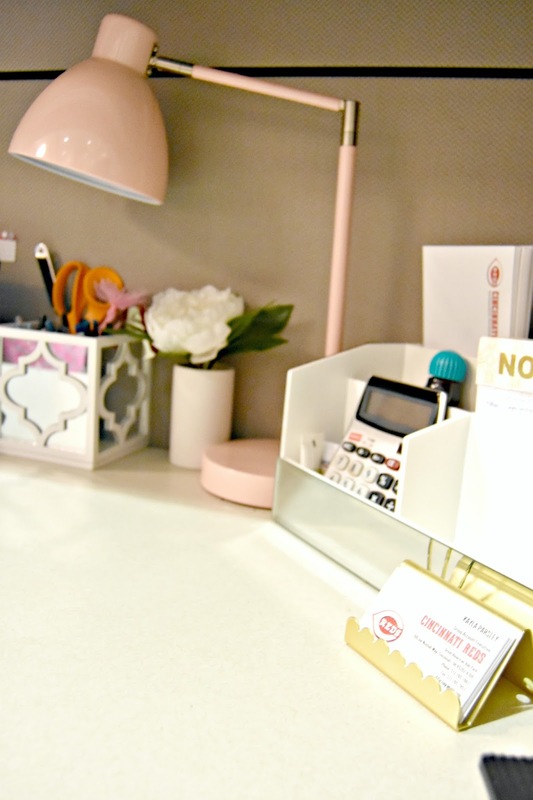 They make hanging necessary work notes cute! If you look in the before picture my notebooks were in the left corner but didn't look tidy. 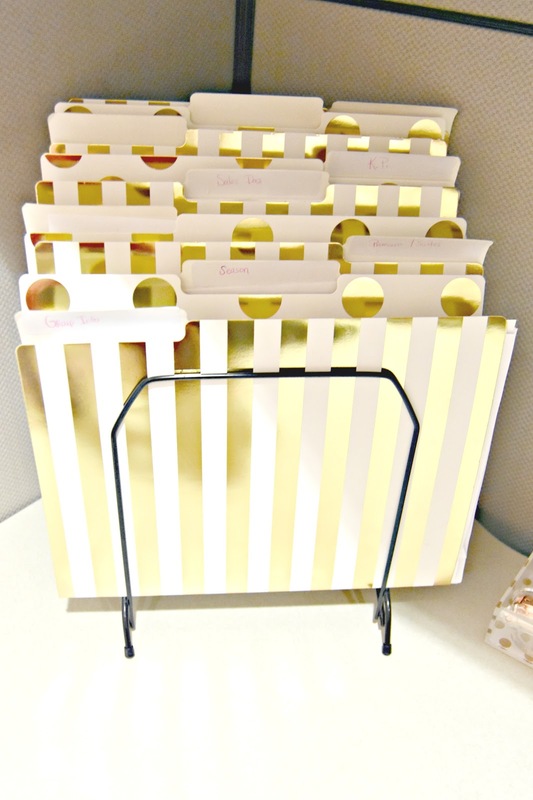 I also previously used space for a tray to hold random papers. 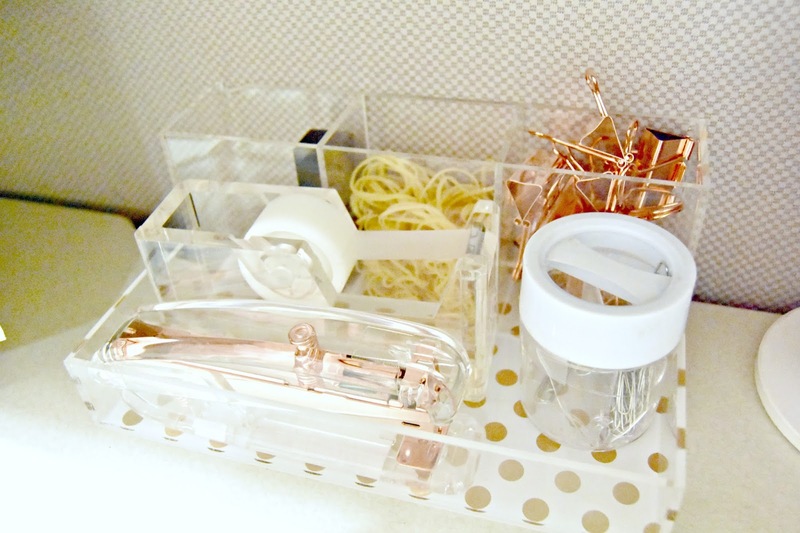 I finally looked into a corner desk organizer, but they were all like forty bucks. So I realized that these magazine files would serve the same purpose and got them for $5 each at Target. 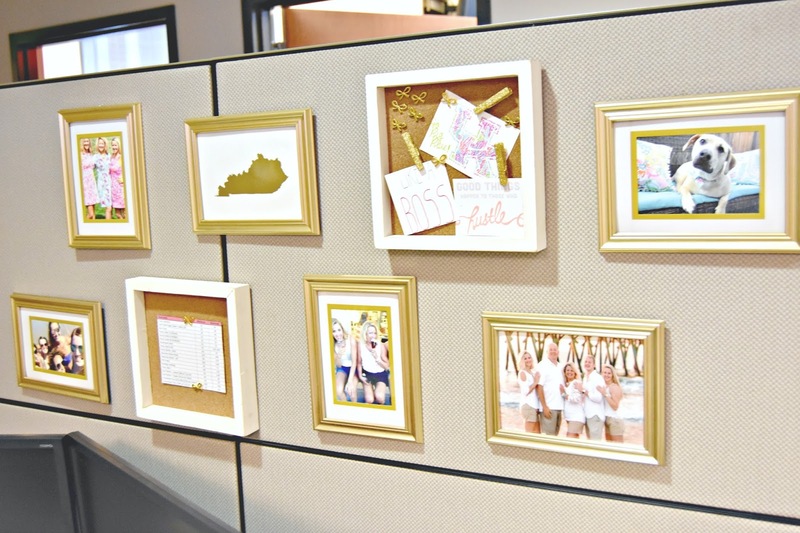 The small gold frames were a yellow clearance sticker steal from T.J. Maxx marked down from $3 for the set from $12.99. This lamp is my favorite. You can touch it anywhere and it turns on. 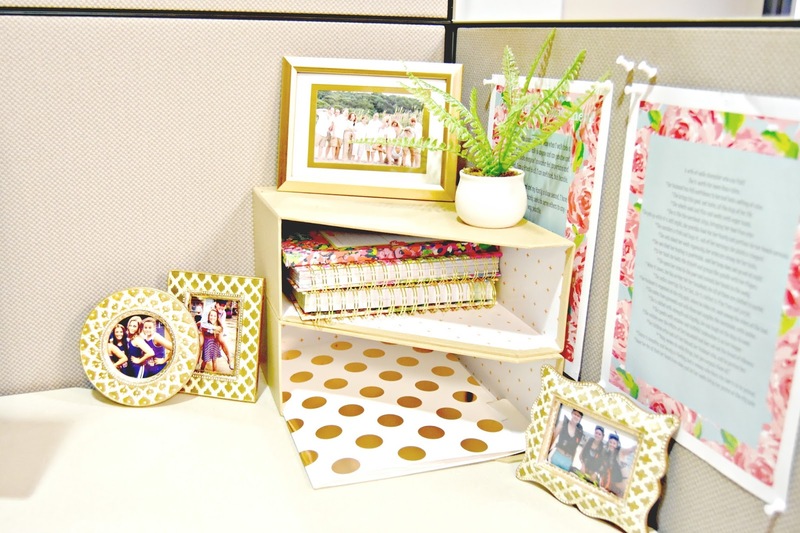 Hope you feel inspired to give your cube a little make-over!